The girls slept in yesterday morning(oh how I love summer vacation), so I was able to have my coffee and do a little quiet basting. I finished the whole quilt before anyone got up. I’m sure that’s a first. 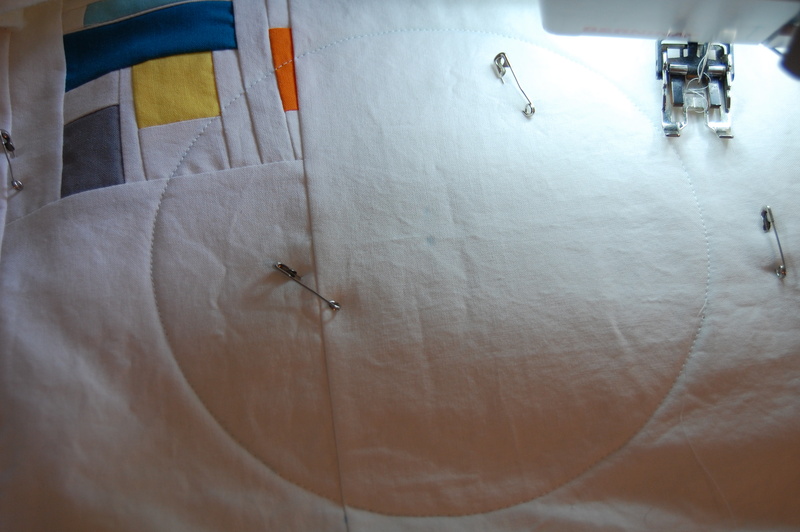 I decided on concentric circles again for this quilt. Something about it’s square shape, makes me want to put circles on it. I used my trusty food processor bowl again to mark this beginning circle. 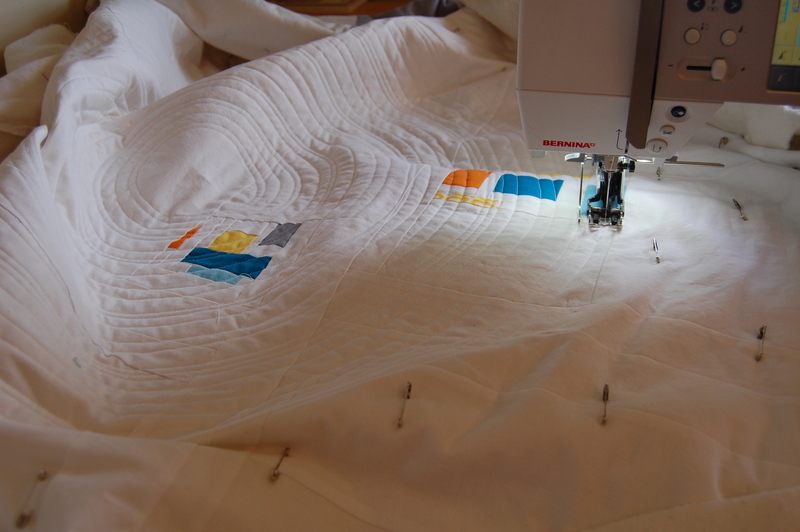 This time I’m varying the widths, different from this quilt, where I made them all the same. Just a slightly different look….. I know these photos are not the best, we have not been seeing sun around here until around 3:00 in the afternoon- June Gloom has arrived!!! Hope you’re enjoying a creative week! I’m linking up with Lee (actually Sukie who’s filling in this week) again today. Her WIP Wednesday’s Linky Party is always full of inspiration! 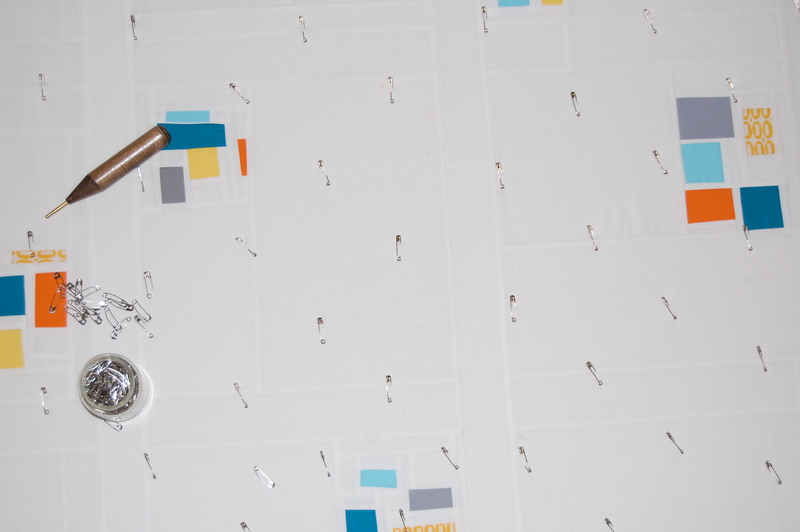 I just got one of those basting pin tools – such a game changer! All those circles really do make a great contrast to the squares. Looks like its going to be a beautiful quilt. Well done!